Music that caresses the ears, titillates the mind and makes the heart skip a beat. Meet MAUGER the brainchild of singer/guitarist Mauger Mortier, a 9-to-5er with a steady job in the business world who has been known to stealthily jot down a few snippets of lyrics during particularly boring meetings. 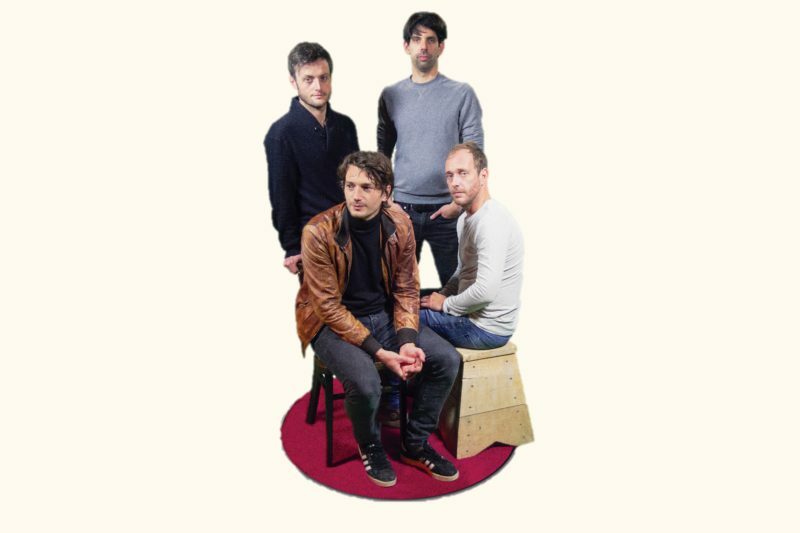 Initially Mauger did his thing as a singer-songwriter but then he found three kindred spirits in ten-year Absynthe Minded veterans Jan Duthoy and Jakob Nachtergaele and Matthias Debusschere (ex-Sioen). With MAUGER less is more. Pure and unadulterated, the quartet’s indie pop is stripped down to the bare essentials, with simple but effective arrangements and sublime melodies that call to mind Eels, Bon Iver and Phosphorescent but also evoke past glories such as Prefab Sprout and Nits. Late 2017 Radio 1 put MAUGER’s single ‘Streets Run Dry’ in rotation, landing them festival slots and club gigs all across the country. Their appearances at the Gentse Feesten, Paulusfeesten, Leffingeleuren and at the venues De Kreun and De Zwerver gripped diverse audiences. Their full-length debut ‘Sunday Competition’ is set to drop in the spring of 2019 on the Kortrijk/Ghent-based label Mayway Records. The album was recorded at BOMA studios in Ghent which in the past has welcomed the likes of J. Bernardt, Baloji and De Beren Gieren. Lead single ‘I’m Always Fine’ was recorded at Jeff Claeys’ Elstudio in Costa Rica, where Millionaire recorded ‘Sciencing’.